We hope you enjoy our Norton supplement included with this issue. 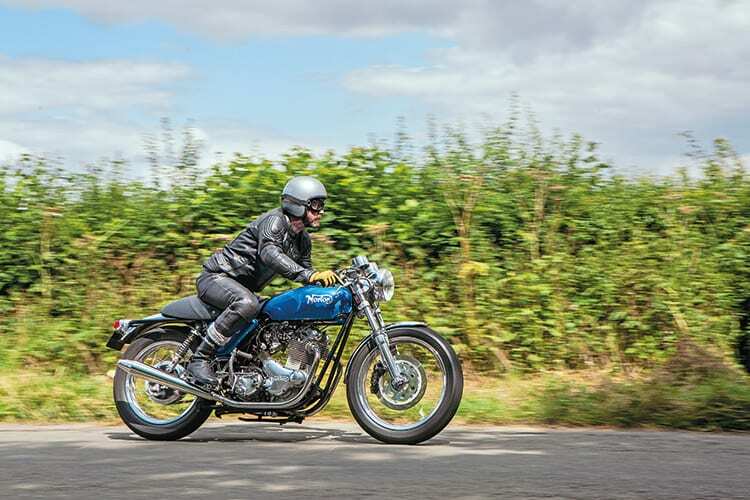 It’s been good fun putting it together, while it – of course – made me once again start pondering Norton twin ownership. I did have a Featherbed Dominator for a couple of years, though I can’t remember what provoked its sale, usually it is because someone mentions they’d not mind it and then I can’t stop thinking about selling it, until I do! And so another bike bites the dust. That it is 50 years since the Commando was introduced almost caught me out. For some reason I’d signed off the supplement with ‘40 years of Commandos’ on the cover, but then woke up at 1.30am with the realisation it was, in fact, 50 years since the model’s debut in 1968 (which of course I knew, my maths had just let me down – not for the first time). Luckily, it was being printed in-house, so after some early morning phone calls we were able to revise the cover. Phew! It was 1978 when the Commando went out of production first time, so perhaps subliminally that was having an impact too. That it was only in production for around 10 years is interesting too, in that for a relatively short production timespan, a lot were made. We decided to extend the supplement to cover the other Norton twins as well, to add a few extra elements. So this month has been a fairly busy one, what with kicking off with the Stafford show where, as usual, a good time was seemingly had by all. There was the usual array of fabulous machinery on parade, though one of my favourites disappeared before I’d had the chance to take a picture or have a proper look at it. It was a Piazza, a late 1920s beautiful little (175cc) four-stroke single made in Torino. The detailing was exquisite, with much of it very ‘British’ though it was a marque I’d never heard of before. I always enjoy seeing something unfamiliar alongside all the old favourites. I’ve decided to use a picture of the last time I rode Nigel Waring’s Commando, below, as it’s the same one which has featured in our supplement. It really is a superb motorcycle, fast and strong; there’s so much to love about a good Commando and it was fascinating to ride the new 961 alongside it.